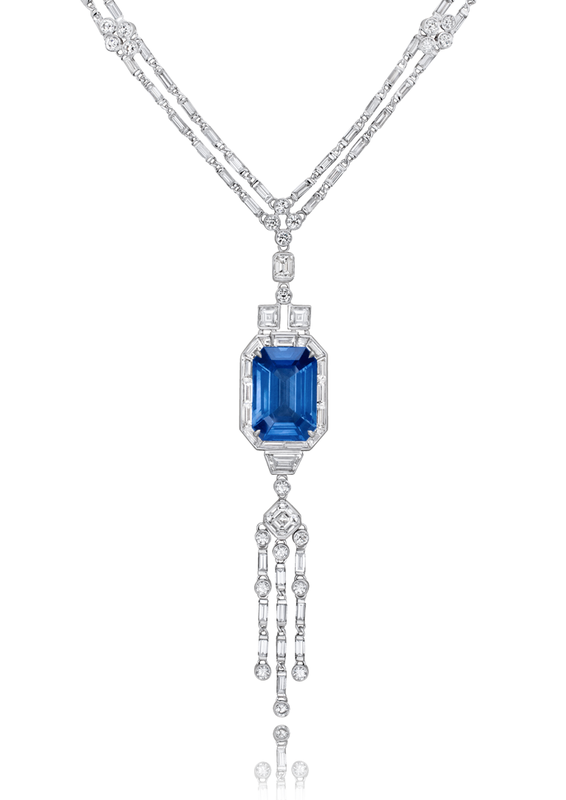 Deco Dream Necklace set with one emerald cut 17.32cts. sapphire, also set with 191 side diamonds for a total weight of 22.77cts. Side diamonds are round brilliant shape diamonds, emerald cut diamonds, square cut diamonds, asscher cut diamond, trapezoid cut diamonds and baguette cut diamonds.